The Athens Police Department is requesting your information pertaining to several crimes which have occurred in the City. 1. On October 7, 2017 at 11:00 PM, an individual was walking on the sidewalk near 60 N. Court St when he was violently struck in the back of the head. This resulted in the victim falling forward and striking his face on the sidewalk. The victim suffered fractured bones in his face and a brain injury. The individual who struck the victim was described as a light skin-toned black male wearing a black shirt. 2. During the afternoon of October 8, to the early morning hours of October 9, 2017, an unknown individual(s) stole a utility trailer from the Tractor Supply Company lot located at 1000 E. State St. The trailer is described as a 5 ½’ wide by 10’ long aluminum trailer with a wooden floor. The Ohio University Police Department is requesting your information pertaining to several crimes occurring on campus. 1. During the evening of September 4 to the early afternoon of September 6, 2017, an unknown individual(s) illegally entered a 2004 Pontiac while it was parking in Lot 50, which is the N. McKinley residential lot. The individual(s) stole many items, including a camera, camera equipment, and books. 2. On October 21, 2017 at 9:05 PM, a female was walking near Lot 104, located between Stewart St and N. McKinley Ave, when she was approached by a male. The male restrained the victim and then illegally touched her. The female was able to strike the male and flee to safety. The male is described as white, 5’9” tall, wearing blue jeans, a gray shirt, and a black zip-up hooded coat. 3. On November 16, 2017 at 6:00 PM, a female was walking on E. Union St (Jeff Hill) near Edgehill Dr when she was confronted by three males. One of the males made an inappropriate comment and she asked what he said. This same male was carrying an unknown object which he threw it at the female, striking her in the face. The three males then fled the area. Local police agencies are seeking information on the following incidents. They will be advertised by Athens County Crime Solvers Anonymous but are not currently Crimes of the Month. The following robberies took place in the uptown area over the course of a nine day span. 1. On September 12, 2017, the victim stated near 3:00 AM he was walking on W. Union St when he was approached by a white male. The male engaged the victim in conversation and then threatened him. Due to the threat, the victim provided the suspect with the money he had on him and he (suspect) fled the area. The suspect was described as approximately 19 years old, 5’10” tall, thin build, medium length brown hair, and was wearing a black sweatshirt. The victim believed the suspect got into a beige Cadillac. 2. On September 14, 2017 at 11:40 PM, the victim stated he went to the Valero gas station located at 50 N. Court and was confronted by a group of approximately 6 black males. One of the black males assaulted the victim while another threatened him. The suspects stole the victim’s money and mobile device. One suspect was described as a large build, bald (or shaved head), and was wearing a red shirt. The other suspect he could describe who had threatened him was a thin build and had a darker skin tone. 3. On September 14, 2017 at 11:55 PM, the Athens Police Department received a call of a fight near the parking garage. After investigation, it was determined the victim had been walking on Court St and a black male pickpocketed his wallet from him. The victim gave chase and was then assaulted and threatened by the suspect. There were two black males involved. The first is described as between 18 to 20 years old, 6’00” tall, muscular build, afro-textured hair which was shaved on the sides and longer on top, and was wearing a light brown shirt. The second suspect is also described as being between 18 to 20 years old, 6’00” tall, light skin tone, afro-textured hair, and was wearing a red shirt and gold necklace. 4. On September 21, 2017 at approximately 2:00 AM, the victim who had walked from the uptown area was approached by two white males when he reached the parking lot of 15 S. Shafer St (University Commons). The suspects assaulted the victim and then stole his wallet. Both suspects were wearing shorts and hooded sweatshirts (or jackets) and were of average height and build. 5. On September 21, 2017 at 11:15 AM, a white male suspect entered the Citizen’s Bank located at 20 E. Stimson Ave. and displayed a black handgun to the teller. The suspect obtained an undisclosed amount of money and then fled the bank out onto Stimson Ave. 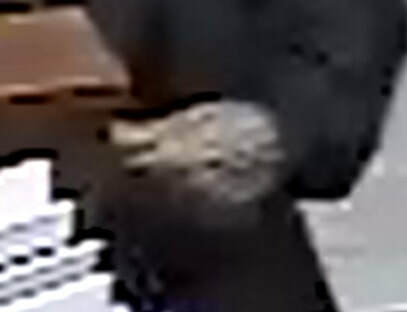 The suspect was described as approximately 5’08” tall, brown hair, and was wearing black shoes, blue jeans, navy blue shirt, black jacket with a red collar, sunglasses, and ball cap. The ball cap is faded red with a green bill. The suspect appears to have a tattoo on top of his left hand. The suspect fled the scene in a red/ maroon 2001 to 2005 Saturn L200/300. 6. On October 7, 2017 at 11:00 PM, an individual was walking on the sidewalk near 60 N. Court St when he was violently struck in the back of the head. This resulted in the victim falling forward and striking his face on the sidewalk. The victim suffered fractured bones in his face and a brain injury. The individual who struck the victim was described as a light skin-toned black male wearing a black shirt. 7. During the afternoon of October 8 to the early morning hours of October 9, 2017, an unknown individual(s) stole a utility trailer from the Tractor Supply Company lot located at 1000 E. State St. The trailer is described as a 5 ½’ wide by 10’ long aluminum trailer with a wooden floor. The Ohio University Police Department is requesting your information pertaining to a crime occurring on campus. 1. On September 4, 2017 at approximately 1:00 AM, the victim was in the rear parking lot of Bromley Hall, which is located at 35 S. Congress St. The victim was approached by two college-aged males, one white and the other black. The males engaged the victim in conservation and then assaulted her. The victim fought back and the two males fled the scene. The white male is described as 6’00” tall, thin build weighing 170#, dark colored hair (short on sides, longer on top) and was wearing a dark-colored short sleeved shirt, khaki pants and clean white tennis shoes. The black male is described as light skin tone, 6’00” tall, thin build weighing 170#, black afro textured hair, wearing “skinny” blue jeans and clean blue colored shoes. 2. During the evening of September 4 to the early afternoon of September 6, 2017, an unknown individual(s) illegally entered a 2004 Pontiac while it was parking in Lot 50, which is the N. McKinley residential lot. The individual(s) stole many items, including a camera, camera equipment, and books. 3. On October 21, 2017 at 9:05 PM, a female was walking near Lot 104, located between Stewart St and N. McKinley Ave, when she was approached by a male. The male restrained the victim and then illegally touched her. The female was able to strike the male and flee to safety. The male is described as white, 5’9” tall, wearing blue jeans, a gray shirt, and a black zip-up hooded coat. 5. On September 21, 2017 at 11:15 AM, a white male suspect entered the Citizen’s Bank located at 20 E. Stimson Ave. and displayed a black handgun to the teller. The suspect obtained an undisclosed amount of money and then fled the bank out onto Stimson Ave. 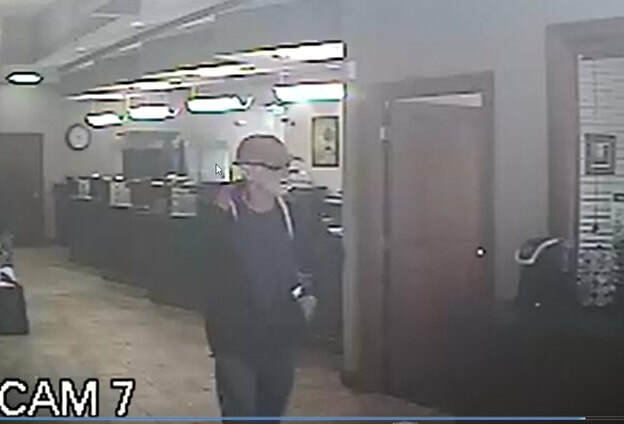 The suspect was described as approximately 5’08” tall, brown hair, and was wearing black shoes, blue jeans, navy blue shirt, black jacket with a red collar, sunglasses, and ball cap. The ball cap is faded red with a green bill. The suspect appears to have a tattoo on top of his left hand. 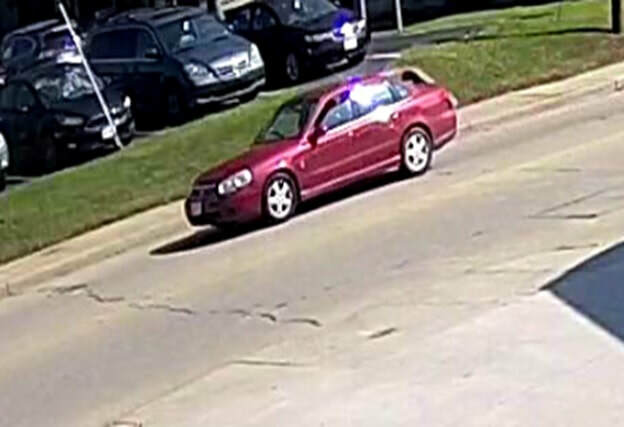 The suspect fled scene in a red or maroon vehicle but the make and model have not been identified. The following incidents has been listed by Athens County Crime Solvers Anonymous as September 2017 Crimes of the Month. The Athens Police Department is requesting your information pertaining to the location of Joseph E. Papineau. 1. Mr. Papineau is being sought for his involvement in multiple criminal acts within the City and the County. He currently has three separate warrants for his arrest from three different law enforcement agencies. The arrest warrants stem from charges involving receiving stolen property, possession of cocaine, and a traffic offense. 1. Between July 26, 2017 at 8:00 PM and the following day, July 27 at 8:30 AM, an unknown individual(s) forcibly entered the office building at the Ohio University Driving Range located on W. State St. After gaining entry, the individual(s) stole the cash register and multiple bottles of Gatorade. The following incidents have been listed by Athens County Crime Solvers Anonymous as August, 2017 Crimes of the Month. The following incidents has been listed by Athens County Crime Solvers Anonymous as July, 2017 Crimes of the Month. The Athens Police Department is requesting your information pertaining to two criminal acts which occurred within the City. 1. Burglary- On June 11, 2017 between 10:45 AM and 11:10 AM, unknown person(s) illegally entered the private residence of an employee of the St. Paul’s Catholic Church located at 38 N. College St. While inside the attached residence, the subject(s) stole money and then fled the scene. This incident did take place while services were being held in the church. 2. Burglary- On June 18, 2017, it was reported a second burglary had taken place at 38 N. College St.. This burglary occurred after the reported June 11 incident and prior to June 18. Money, a laptop computer, and other property was stolen. The following incidents have been listed by Athens County Crime Solvers Anonymous as May 2017 Crimes of the Month. The Athens Police Department is requesting your information pertaining to several criminal acts which occurred within the City. On March 21, 2017 between 2:00 and 4:00 AM, an unknown black male forcibly entered the Ginger Asian Kitchen, located at 28 S. Court St. Once inside, the male was able to steal a large amount of money and an Apple iPad. On March 28, 2017 at 2:15 AM, the business of Stewart-MacDonald located at 21 N. Shafer St was forcibly entered. The suspect(s) fled the scene prior to officers’ arrival. Between April 14 at 11:00 PM and April 15, 2017 at 7:30 AM, the El Camino restaurant located at 1017 E. State St. was forcibly entered. The suspect(s) stole an undisclosed amount of money. On April 20, 2017 between 12:30 AM and 9:00 AM, the Gran Ranchero restaurant located at 979 E. State St was forcibly entered. The suspect(s) stole an undisclosed amount of money. The following incidents have been listed by Athens County Crime Solvers Anonymous as April 2017 Crimes of the Month. 1. Over the course of the past month, the Athens Police Department has responded to several incidents involving the theft of motor vehicles. The thefts are occurring in various parts of the City. 2. On March 21, 2017 between 2:00 and 4:00 AM, an unknown black male forcibly entered the Ginger Asian Kitchen, located at 28 S. Court St. Once inside, the male was able to steal a large amount of money and an Apple iPad. The Ohio University Police Department is requesting your information pertaining to a criminal act which occurred on campus. On February 5, 2017 at approximately 4:00 AM, a female student was walking to her dormitory on South Green when an unknown male approached her. The male was described as white, 5’06”, having an average build, short hair, and was wearing a gray hooded sweatshirt, khaki pants, and sperry-type shoes. The victim estimated the male to be in his late twenties. The male followed the victim into Armbruster House, which is located at 129 South Green Dr., and then sexually assaulted her. The following incidents have been listed by Athens County Crime Solvers Anonymous as February 2017 Crimes of the Month. The Athens Police Department is requesting your information pertaining to a criminal act which occurred within the City. On January 19, 2017 at 1:56 AM, members of the Athens Police Department responded to 20 Brown Ave. on what the caller had described as an explosion. Upon arrival on scene, it was determined the explosion was actually the discharging of a firearm. A resident had been shot while he was inside the residence. First aid was administered until Athens County Emergency Medical Services personnel arrived. The resident was transported to OhioHealth O’Bleness Hospital and was later transferred. The Nelsonville Police Department is requesting your information pertaining to criminal acts which occurred within the City. On January 11, 2017 at approximately 11:30 PM, the Nelsonville Police Department responded to the Victorian Village apartment complex which is located at 325 S. Harper St. On this date, two white males were observed carrying a coin machine out of the laundry room at the complex. Once outside the building, the males dropped the coin machine which attracted the attention of people in the complex. The males quickly placed the coin machine in the trunk of a red vehicle and fled the area. The Athens County Sheriff’s Office is requesting your information pertaining to criminal acts which occurred within the County. 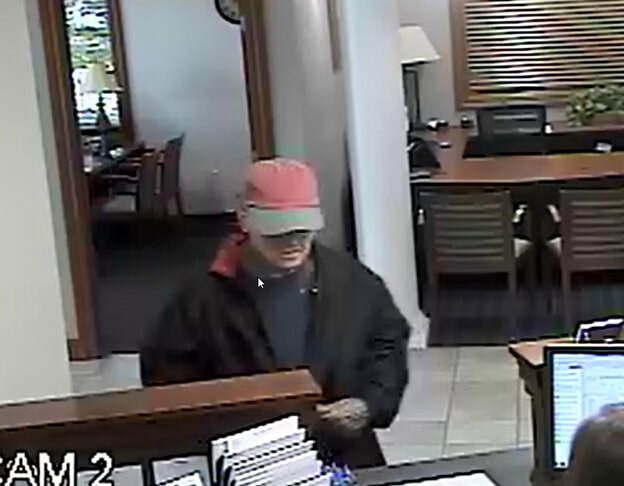 On October 28, 2016 at approximately 10:10 AM, the Athens County Sheriff’s Office responded to the Hocking Valley Bank in Coolville for a bank robbery that had just occurred. The suspect who had already fled the area on foot was described as a white male wearing blue jeans, a Carhartt jacket and a white-billed hat. On November 12, 2016 at approximately 11:30 PM, the Athens County Sheriff’s Office responded to 9 Roy Ave, The Plains for an aggravated burglary that had just occurred. The elderly resident advised the suspect had forcibly entered the residence and left a short time later with some of the resident’s personal belongings. The following incidents have been listed by Athens County Crime Solvers Anonymous as January 2017 Crimes of the Month. the area after being physically assaulted. entered the store and took an undisclosed amount of money. O’Bleness Hospital and was later transferred. The Nelsonville Police Department is requesting your information pertaining to a criminal act which occurred within the City. Athens County Crime Solvers Anonymous is offering a $2,000.00 cash reward for information on the above crimes if that information leads to the arrest and indictment of the person or persons responsible. *Information on serious misdemeanors will be limited to a $1000.00 cash reward. **Any information that leads to the arrest of an individual responsible for graffiti, the board can authorize up to a $500.00 cash reward. If you have information on these crimes, please call (740) 594 – 3331. Other cash rewards are available for your information regarding other crimes that have been committed in Athens County and if you have knowledge of other crimes, you are asked to call (740) 594 – 3331.